Mini Elephants, 3 Asstd. - Distributors of a variety of souvenirs and giftware products, based in Perth, Western Australia. 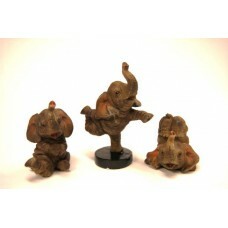 Home » Products » New Products » Mini Elephants, 3 Asstd.